This year’s 2010 Duke MBA India Business Forum will be held on Sunday, March 28th. It is titled “India: Turning the Lens on Tomorrow” and will address important economic forces impacting Asia’s third largest economy in global business. Please see the following books from the Ford Library or check out our India display in the Economics section. Click on a link to check availability or to place a hold. The Story of India [DVD]. PBS Home Video, 2009. The Soul of India [DVD]. Rick Ray Films, c2004. Nilekani, Nandan. 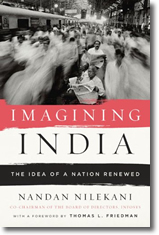 Imagining India : the idea of a renewed nation. 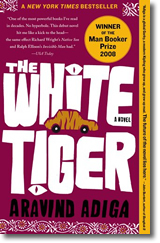 Penguin Press, 2009. Software entrepreneur Nandan Nilekani is proud of the economic progress made by India in the last 25 years, but senses that the inequities that remain are limiting India’s ability to take full advantage of global opportunities. The challenges must be resolved before India can rise to a new level of prosperity, yet within India, there is resistance. Nilekani posits that ideas lead economic and social policy. He explains the evolution of ideas in India, including core beliefs among the population. He discusses changes in attitudes that are the heart of India’s success, some of which have been implemented and others that have yet to see results. He sees India’s human capital, English proficiency and information technology as huge advantages in a globalized world. The most important driver for growth lies in expanding access to resources and opportunity. Nilekani charts a new way forward for a young and impatient nation.